Which Makeup Rules Are Meant to Be Broken? No matter where they came from, most makeup rules were meant to be broken. If you are following any of these six makeup rules, you should break them, now. Never apply mascara to the lashes on your lower lids. If you follow this rule, you are missing out on pretty peepers. You can avoid the feared runny, racoon eyes by holding a tissue under your lower lashes and dipping a flat eyeliner brush against the wand before you do the lower layer. If you have red hair, you shouldn’t wear red lipstick. In fact, redheads can shine with red lips as long as they choose the correct shade. If you have lighter strawberry blonde or orange hair, go for a blue-red tone. If your hair is darker red, opt for orangey tones or brick red instead. Only highlight one feature at a time. This refers to rules like never combine bright lipstick with a smoky eye. Hogwash. For a dramatic night out, you can do both as long as you do it tastefully and don’t go too bold. Women over 30 shouldn’t wear lip gloss. Add this one to the list of silly rules for middle aged makeup wearers. In reality, lip gloss can plump lips and make them appear more youthful. Brown eyeshadow is just for blue-eyed girls. Brown is close to orange, which is the opposite of blue on the color wheel. It’s true that opposite colours tend to highlight each other, but olive and tan shades of brown can also make brown eyes pop. By the same token, blue eyed girls can also wear eyeshadow that is blue. If you enjoyed learning about makeup rules meant to be broken, continue reading What are The Most Overused Beauty Products? Author Kristals CosmeticsPosted on January 19, 2018 January 27, 2018 Categories UncategorizedTags makeup rulesLeave a comment on Which Makeup Rules Are Meant to Be Broken? How can I Make Makeup Last Longer? Makeup is a tricky art. Getting all the components on in just the right balance to achieve a beautiful look is a big part of it. But if you have dry skin, then those makeup challenges can become even greater. Skin that’s dry and flaky just doesn’t hold on to makeup as well, or the problems can show through the makeup. This can make the whole process quite frustrating. Fortunately, the Beauty Pros at Kristals have several makeup tips to make makeup last longer specially if you have dry skin. Here’s what can help. Prepping dry skin for makeup is a process that goes far beyond the makeup itself. By exfoliating once a week, you can remove dead skin cells and refresh your skin. Then, follow that up by moisturizing every day to keep skin as moist as possible. Both steps will go a long way toward helping your makeup look its best. Powder is frequently recommended when making makeup purchases to help smooth things out and fix them in place. But it really isn’t a good idea when you’re coping with dry and flaky skin. In reality, it’s just going to accentuate those areas of dryness and cause additional problems. Use a good quality setting spray instead. Creamy foundations and other products are a much better choice for people with dry skin. They can actually provide a moisturizing effect while at the same time setting the stage for better-looking makeup. Lipstick that has a matte finish and those labeled as “long-lasting” tend to have chemicals that dry out your lips, leading to flaking and cracking. Sheer lipstick or lip gloss are better choices that moisturize the lips while you wear them. If you enjoyed reading How can I Make Makeup Last Longer? continue with What are the easiest beauty hacks from Celebrity Makeup Artists? Author Kristals CosmeticsPosted on December 30, 2017 January 3, 2018 Categories UncategorizedTags Make Makeup Last LongerLeave a comment on How can I Make Makeup Last Longer? What are the Makeup Rules we should break? Sometimes they come from our mothers or grandmothers, other times from outdated fashion magazines. But no matter where they came from, most makeup rules were meant to be broken. 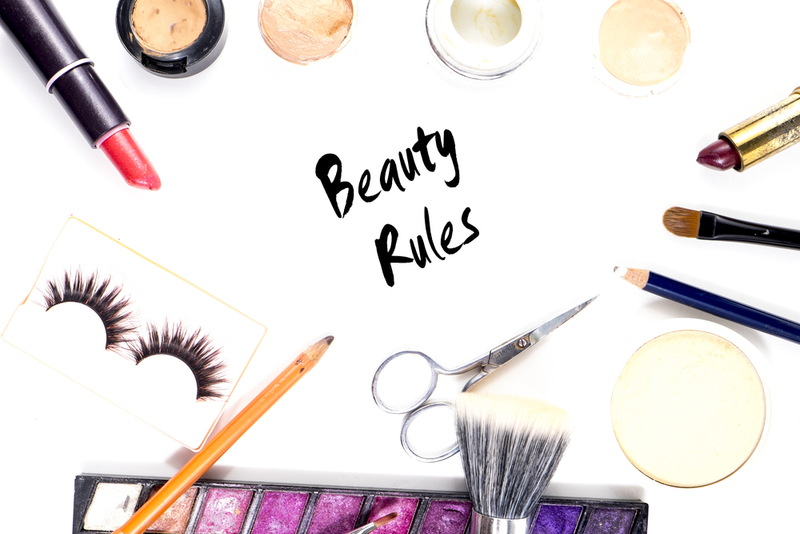 Here are the makeup rules we should break… right now! #1 Never apply mascara to the lashes on your lower lids. #2 If you have red hair, you shouldn’t wear red lipstick. #3 Only highlight one feature at a time. #4 Women over 30 shouldn’t wear lip gloss. #5 Brown eyeshadow is just for blue-eyed girls. Brown is close to orange, which is the opposite of blue on the color wheel. It’s true that opposite colors tend to highlight each other, but olive and tan shades of brown can also make brown eyes pop. By the same token, blue eyed girls can also wear eyeshadow that is blue. If you enjoyed learning about Makeup Rules We Should Break, continue reading What Are The Worst Skin Care Ideas We Should Ignore? 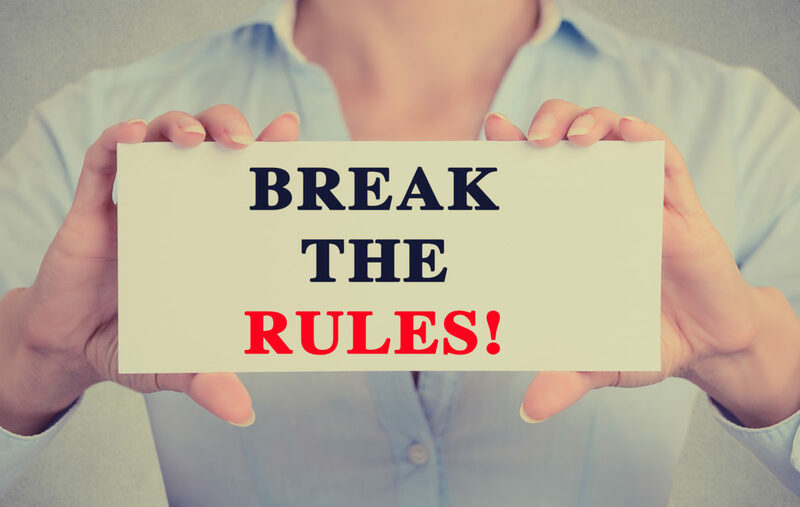 Author Kristals CosmeticsPosted on November 9, 2017 November 16, 2017 Categories UncategorizedTags Makeup Rules we should breakLeave a comment on What are the Makeup Rules we should break? What are the easiest beauty hacks from Celebrity Makeup Artists? Wouldn’t it be great to have your own make up artist at your beck and call? No need. Here are 4 beauty hacks from celebrity makeup artists that make their stars shine. Powdered Cherry Jell-O is the prefect blush shade. Celebrity makeup artists say mix a dash of powder into a moisturizer to get the perfect glow. And even though we’ve been following the same routine for years, experts advise to add blush to the cheeks before you apply foundation for a glow that looks like it’s coming from beneath the skin. To make lashes look fuller, celebrity artists dot the upper lash line with black eyeliner to add definition. It actually creates an illusion that makes it look like you have more lashes. Keep potatoes in the refrigerator to reduce puffy eyes. Soak them in water for a moment or two and then place them over your lids for 15 minutes. Can’t get your false eyelashes on in one strip? Drag queen RuPaul says to clip them into four different pieces, then apply the pieces. It’s easier than doing one strip in a swoop. Mix foundation with a golden or shimmery white eyeshadow for a radiant glow. Celebrity Liv Tyler has her own flawless secret: After applying foundation and a little blush, dust your face with translucent powder, then mist skin with a rosewater spray and lay a Kleenex over for a second. Says Liv: “It makes your face seem flawless in a way that looks as if you aren’t wearing any makeup.” And make up artists swear by blotting papers. When dealing with a shiny face, dab with blotting papers throughout the day instead of adding more powder. Steam your face to revitalize dull, dry skin. Create an at-home mini-facial with a pot, hot water and a towel to trap the steam. Celebrity artists do this for their clients backstage just before they apply makeup so when they step onto the runway or red carpet their skin has a certain glow. Or prep your face with a hydrating mask to balance out your skin and get it makeup-ready. We suggest DIAMOND Anti-Gravity Magnetic Mask. Now that you’ve learned the easiest beauty hacks from celebrity makeup artists, keep reading What are the Most Frequent Foundation Mistakes ? Author Kristals CosmeticsPosted on September 5, 2017 Categories Beauty, UncategorizedTags beauty hacks from celebrity makeup artistsLeave a comment on What are the easiest beauty hacks from Celebrity Makeup Artists? Looking for a good moisturizer? When you choose a facial moisturizer, you are really looking for a product that can do multiple tasks at one time. At the top of the list are sun protection, moisture management, and protection from free radicals. Ideally one lotion or cream should be able to do it all, but you can layer products if necessary. The sun is crucial for life (and for vitamin D production) but it can also be your skin’s worst enemy, according to the skincare and beauty researchers at Kristals Cosmetics. Sun exposure not only leads to wrinkles and “age spots,” but also contributes to potentially deadly skin cancer. Check the label of any facial moisturizer for an SPF (sun protection factor) of at least 30 for daytime wear. Be sure you are getting broad-spectrum protection from both UVA and UBV rays. Commonly available and naturally sourced sun-protective ingredients include zinc oxide and titanium dioxide. These ingredients may leave a white cast to your skin, so choose a thin formulation that can be easily absorbed over a heavier cream. Dry skin will look older than supple skin, and will also feel tight and possibly even itchy or irritated. Moisturizing ingredients will help to prevent the skin from losing its all-important existing moisture. These include plant oils, mineral oils, shea butter, cocoa butter, petrolatum, silicones and animal oils (like lanolin). Humectants attract additional external water to the skin; look for sorbitol, glycols, glycerin and sodium PCA, to do this job. We recommend Kristals Cosmetics Rock Crystal Refining Moisturizer for Dry Skin. A good moisturizer should contain antioxidant ingredients. Found in fruits, vegetables, and other naturally occurring substances, antioxidants are indispensable for preventing some of the damage that is done, daily, by unavoidable free radicals. Tocopherol (vitamin E), lycopene (a carotenoid found in red produce), green tea, coffee berry, resveratrol (from grapes), grape seed, genistein (from soy), niacinamide (vitamin B3), and l-ascorbic acid (vitamin C) are all powerful antioxidants used in skincare products. Often, antioxidants are used in combination. Keep on reading: Natural Skincare Products: The Best Ingredients for Sensational Skin. Skin care products that work great for your friend may cause you to break out or irritate your skin. You may have already experienced that at one time or another. You are unique. That’s why it’s important to understand your skin type and the substances that best suit it. Often, people discover their skin type through a blog post. But it’s important to receive expert advise to rule out other skin conditions like rosacea or acne or eczema that affect things in other ways. So it’s best to have a dermatologist evaluate your skin and give you some general ideas of which skin care products should be included in your skin care routine. Stay away from petroleum jelly, mineral oil, alcohol or sodium sulfate. Also watch out for isopropyl palmitate, an emollient that can clog pores. 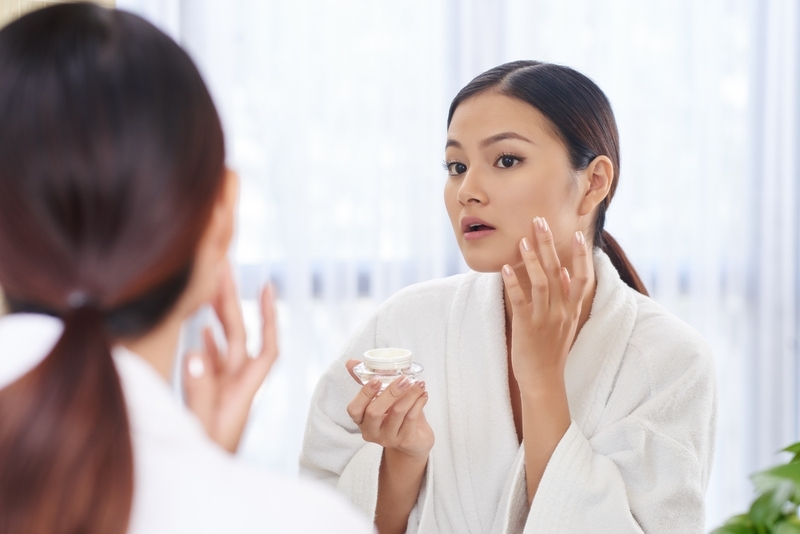 Instead, focus on skin care products containing oil-free ingredients (look for dimethicone in the ingredients list) or hyaluronic acid, an excellent moisturizer. 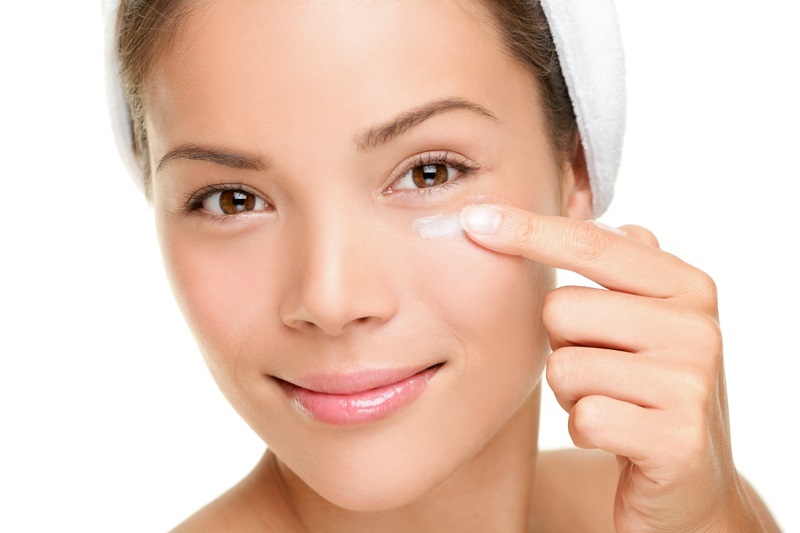 Also, try a skin cleanser with glycolic acid, which can help reduce excess oil and clogged pores. If you have oily skin, Kristals Cosmetics Rose Quatz Oil Free Clarifying Action Toner is just for you. What an annoying duo: dry spots over here and oily ones over there! The best rule of thumb is to focus on different areas with specific problems and treat them accordingly. This means applying a richer lotion or cream to the dry spots of your face, and an oil-free product for the oily areas. You may want to consider salicylic acid to exfoliate, but in different forms: gel or liquid for oily areas and lotion for the dry areas. It’s an added expense, we know, but combination skin seems to require a combination of solutions. Retinoids can be too harsh despite their benefits. Alcohol is another problem ingredient, as are products loaded with fragrances, salicylic acid and benzoyl peroxide—they make dry skin worse. 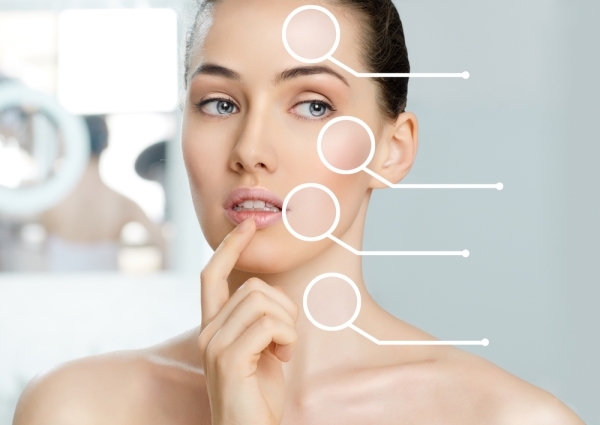 Instead look for moisturisers that contain glycerin, plant oils, ceramides, hyaluronic acid and peptides. You may want to also pass on toners, because they generally contain alcohol that get rid of water in the skin and make it look dull. Lucky you! No major problems, but watch out for mineral oil and petrolatum because they can clog pores. In terms of alcohol types, watch out for SD alcohol 40, ethanol and isopropyl alcohol—these all dry out the skin. Kristals Cosmetics focuses on using gemstone powder infused skin care to help all different skin types. Gemstones used include diamonds, gold, pearls and sapphire, just to name a few. If you enjoyed today’s blog post, you may want to read Kristals Cosmetics Tips: 5 Skincare Secrets That Beautify . In the rush of everyday life, we make many mistakes when taking care of our skin and without knowing it, these can result in dull, wrinkly skin. To that end, here are some skincare screw-ups we need to avoid ASAP. Sleeping with makeup on. This is one of those mistakes that can happen after a long day—or just become a bad habit we end up adopting out of convenience, since removing makeup can often be a real chore. However, leaving makeup on clogs pores and leads to bad buildup that in turn can lead to acne breakouts and other issues. Pimple-popping. As much as we hate those blemishes and think we’re taking matters into our own hands with a good squeeze, dermatologists constantly advise not to do this. Basically, popping those pimples just spreads the infection and can worsen your problems with acne, not to mention leave unsightly acne scars. Changing products too often. This hurts us in a couple of ways. First, products need time to work, and making quick switches out of impatience may deprive us of the results we wanted—and would have gotten—if we had waited a bit more. In addition, leaping before you look as you make these abrupt changes can result in allergic skin reactions to ingredients, causing redness and acne breakouts. Non-professional facial cleansing. While there are tons of recipes online for DIY (do it yourself) facial masks and more, sometimes these DIY treatments can cause allergic reactions or other problems. Morever, an experienced dermatologist will set up cleaning according to your skin type and concerns, using more powerful ingredients that really get in there, as opposed to a promised quick solution you get over the counter. Pore strips are a good example of these: they just don’t work. To really get at blackheads, for example, a dermatologist is by far your best bet. They have the talent, the tools and the know-how to band blackheads with specialized treatments.